A very well known song from Beatles. 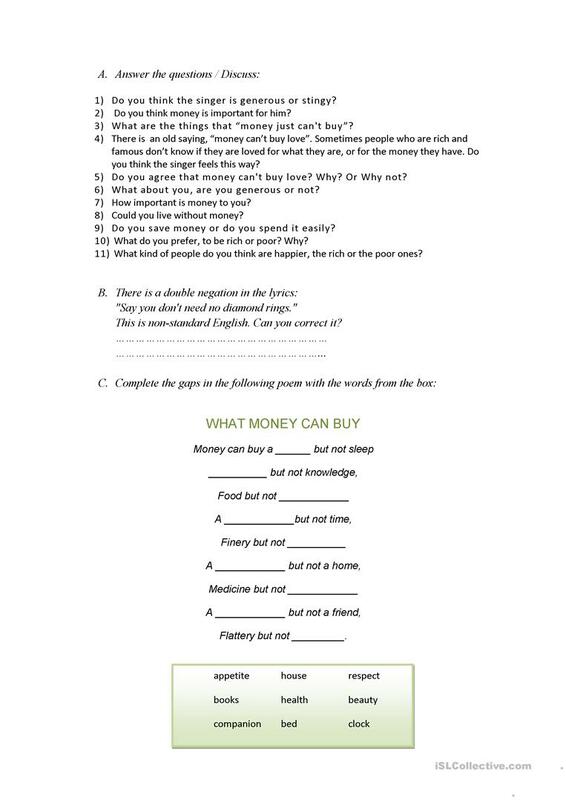 There are several exercises, choose the word, fill the gaps and match the lines while listening to the song, and some post-listening activities, a few questions to discuss about money, a short double negation exercise and a poem about money with gaps to fill. I hope you like it! This downloadable teaching material is recommended for high school students and elementary school students at Elementary (A1), Pre-intermediate (A2), Intermediate (B1) and Upper-intermediate (B2) level. It is great for revising Negatives (negation, saying No) in English, and is a valuable material for strengthening your class' Listening skills. 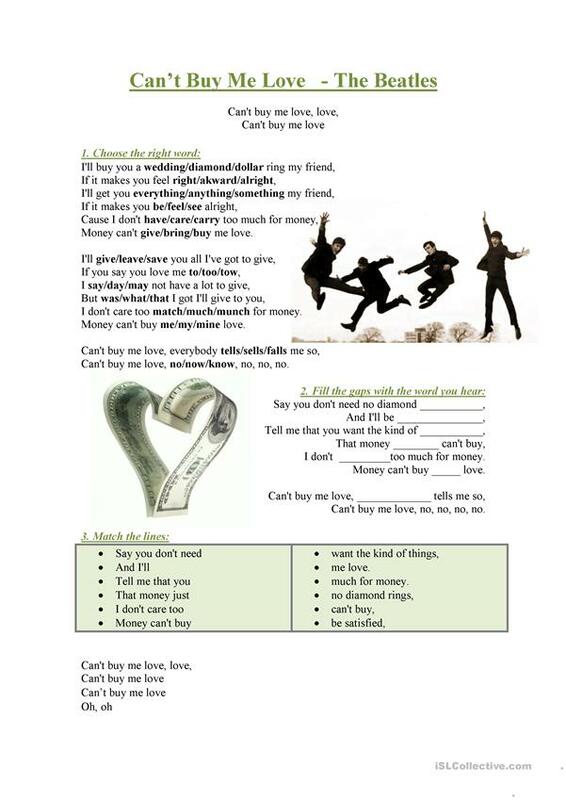 It features the theme of Money.